Granny invited the kids up to her holiday caravan at Cresswell last weekend and Steve and I were at a bit of a loose end and couldn't decide where to book for Saturday night. It's weird when you have a long list of places to visit and then when you actually have the chance, your mind goes blank! 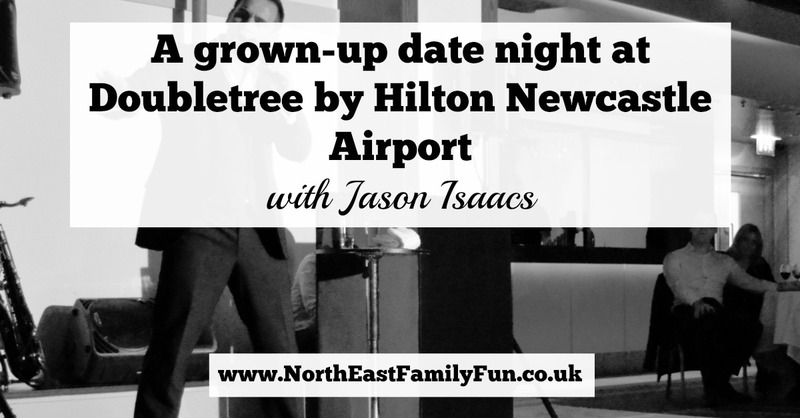 We were thinking of heading to my brother's new restaurant (Evan's Bistro in Whitley Bay) but then as if by magic an email popped into my inbox inviting us to 'An Evening with Jason Issacs' at Doubletree by Hilton Newcastle Airport. It sounded perfect for us so we switched our night at Evan's Bistro to Friday and accepted our invitation from the Hilton. I must admit it feels a little weird pulling up to Newcastle Airport when you aren't going on holiday. We soon forgot this as we walked into the hotel lobby. I think we made the rookie error of going in the wrong entrance as we couldn't find a reception desk (we later found out this is towards the rear of the hotel). 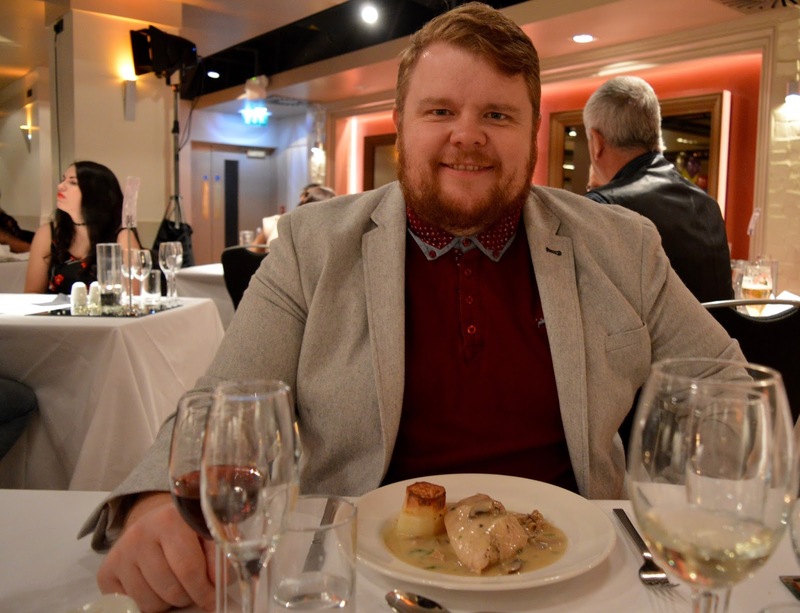 We asked a member of staff from the hotel's restaurant Fratello's for assistance and were impressed that he actually escorted us to the function room in the basement rather than simply pointing us in the right direction. It's little touches like this that make the difference I think and I have to say the service we received from all of the staff in the hotel was exemplary. Sometimes I find Hilton hotels to be a little bland and generic - it's almost as if they get by in life just because they're 'the Hilton' but I have to say this was not the case at Doubletree by Hilton Newcastle Airport. 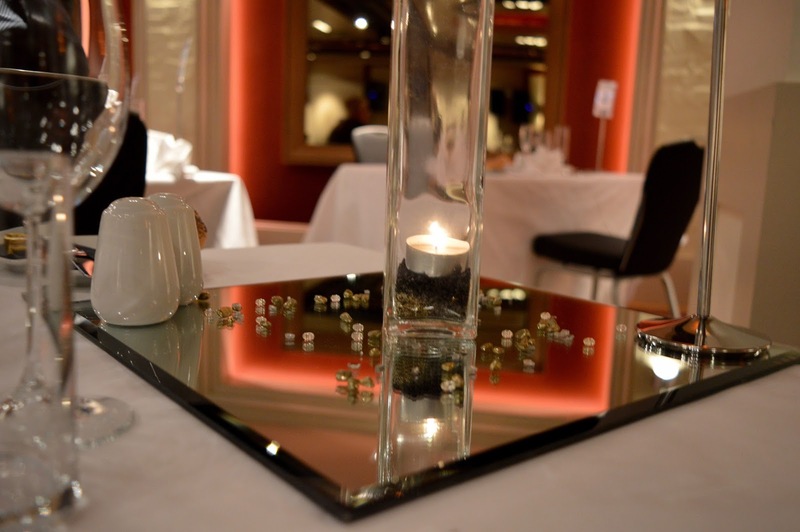 Their function room was beautifully lit, the tables were perfectly set with white linen table cloths, candles and flowers and the staff were all dressed very smartly. Swing music played gently in the background as everyone took their seats for the evening. We were welcomed straight away with a jug of water being placed on our table (and poured for us) and Steve headed to the private bar. I am one of these people who never carries cash and we always pay by card (or apply pay) these days so I was shocked when Steve returned from the bar without any drinks as they didn't accept card payments. We were told we'd need to head to the Shell Garage down the street if we needed cash. Luckily, I had £25 in my purse for our taxi home and we used that - it did limit us on the amount of drinks we could enjoy though (maybe for the best) and it was annoying that we had to ask our taxi to go home via a cash machine. It's maybe just a minor point, but if you do intend on visiting the Hilton any time soon, be aware that they don't take card payments at the bar. Drinks prices were en-par with what we'd expect to pay at a hotel. £6.50 for a large glass of wine for example. 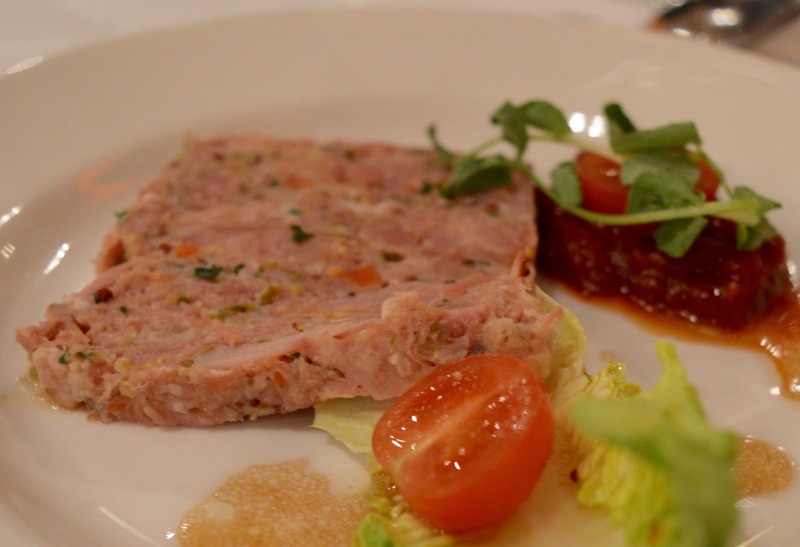 We had pre-ordered our meal and both went for the Ham Hock Terrine. I have to say it was delicious and didn't last long. Onto our mains and we both ordered chicken supreme. 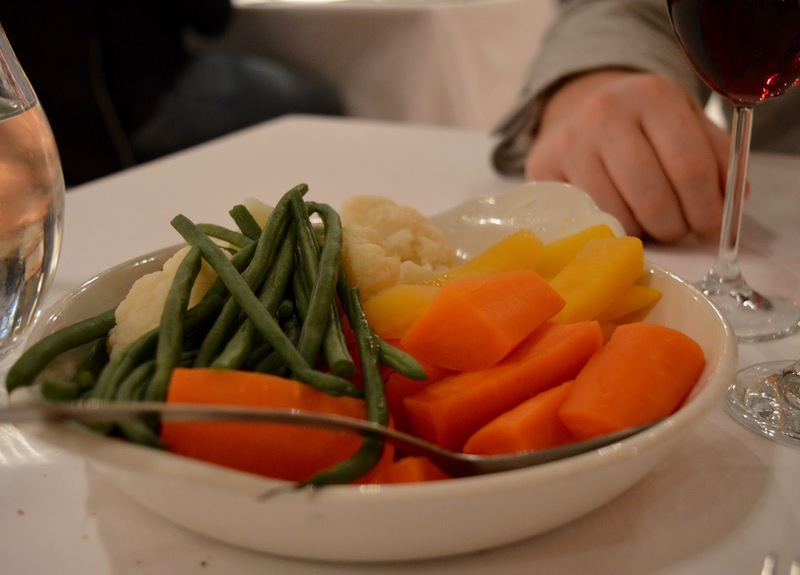 This was served with a bowl of vegetables to share and half way through the course we were asked if we'd like an additional bowl of vegetables. This wasn't needed though as the portions were pretty big. Fondant potatoes are my favourite and this one did not disappoint. There was a real mix of people attending the event. 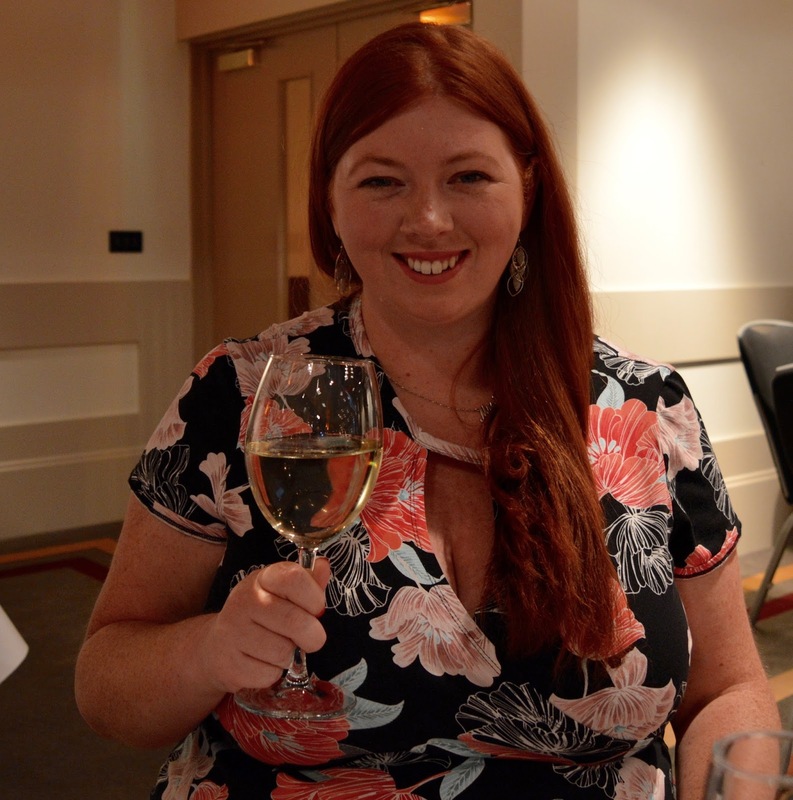 There were a fair few tables of 2 with couples around the same age as us or older, there was a large group of friends celebrating a 30th birthday and another group spanning across four tables featuring multi-generations of a family celebrating a 90th birthday. The drinks were flowing as we enjoyed our meal and it felt like we were going to be in for a good night. They saved the best course until last, dessert was delicious. 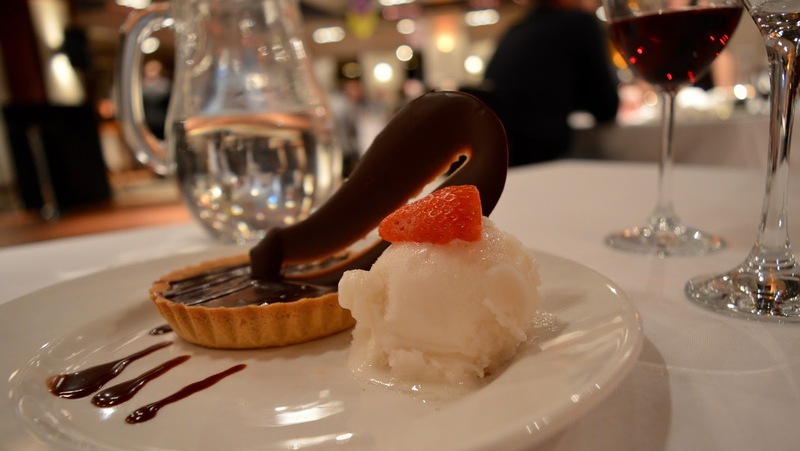 I loved the orange sorbet. Our plates were cleared, the lights were dimmed and it was time for the main event. 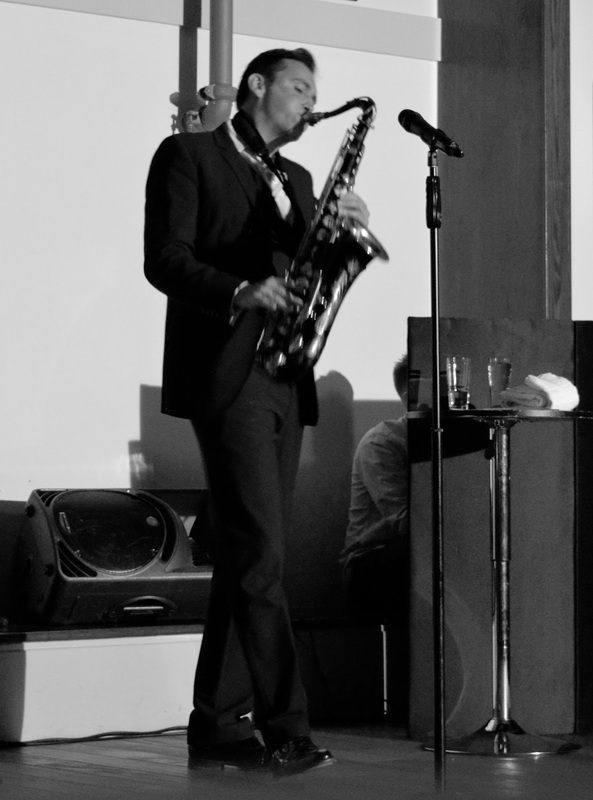 Jason Isaacs describes himself as 'a sax player who sings a bit'. I must admit, I don't normally listen to swing type music myself but Steve is a big fan and will often select a playlist featuring a bit of rat-pack when he's cooking. After watching Jason sing and play I am now a total swing convert. 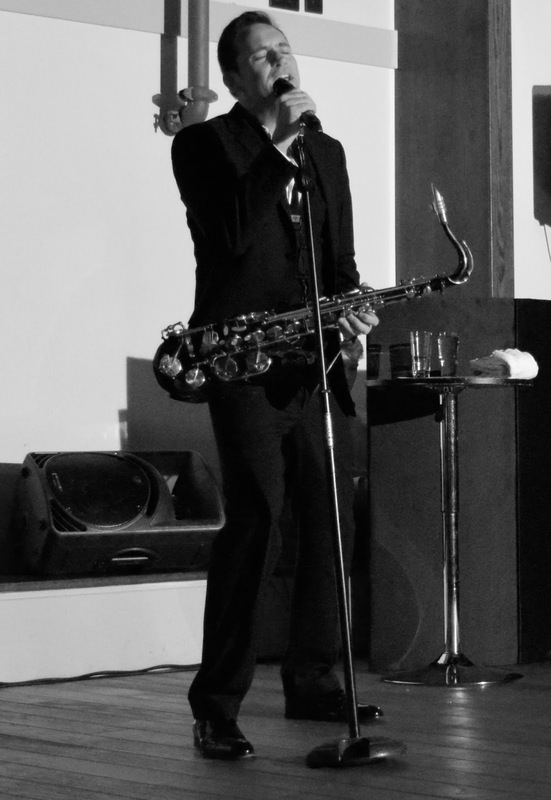 He started with some slow romantic songs such as Moonriver and a few Elvis classics with a sprinkling of jazz and sax and even a little bit of mambo. He had a fantastic connection with the crowd and it never felt as if you were just sitting and watching a singer - there was some cracking banter between tables and a few jokes between songs too. As well as a bit of audience participation in the form of swaying, singing or clapping along. It was difficult not to get swept up in it all. 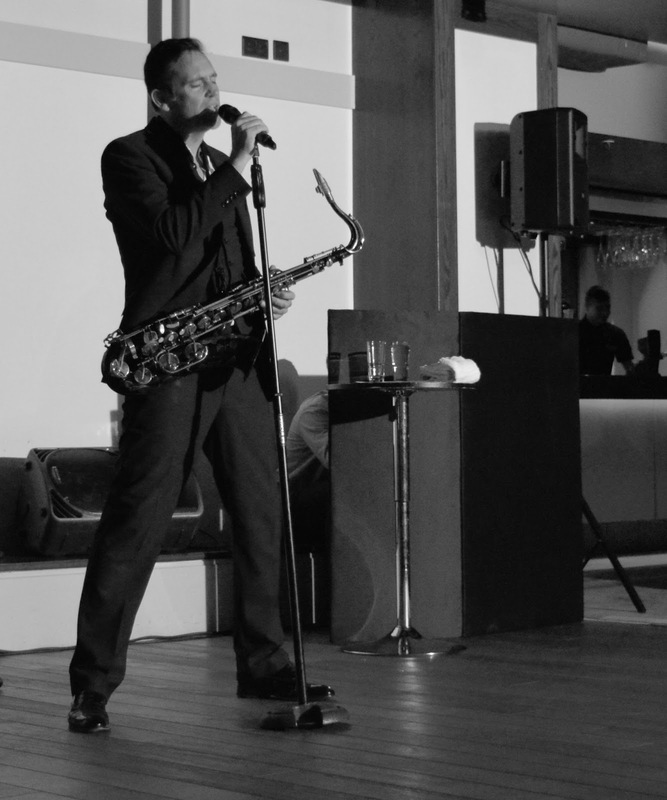 A huge selection of hits were played throughout the 2 hour performance ranging from classics such as 'That's Life' and 'My Baby Just Cares for Me' to a few more modern songs such as Wonderwall that were given a swing twist for the evening. All tables, young and old were singing along and having a fabulous time. By the end of the evening we were all up dancing too. Steve and I have attended similar evenings like this in the past but it's always been as part of a big group of friends. It was nice being just the two of us and actually kind of romantic too. We'll definitely look out for Jason Isaacs in the future (I think he said he's been booked by the hotel for Christmas) and would also highly recommend functions at Doubletree by Hilton. We were very well looked after and had such a lovely evening - we'll remember to bring cash with us next time! You can keep up to date with events at Doubletree by Hilton Newcastle Airport by liking their Facebook page here.